Designed to be handed to a medical professional abroad, where the sterility of medical disposables cannot be guaranteed, the Overseas First Aid Kit in Helsinki Bag is the perfect safety asset to take when travelling outside the UK. 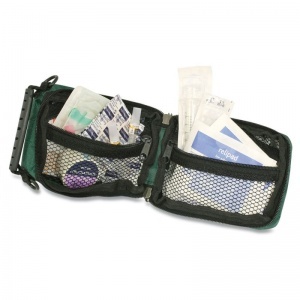 The contents of this kit comes in a soft, green Helsinki bag, with netted internal compartments to keep the sterile medical contents safe and secure. 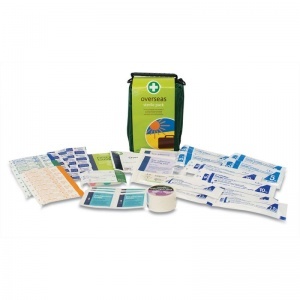 Handing this kit to a medical professional, knowing that everything is guaranteed to be sterile and up to standard, will ease your mind that any accidents will be tended to safely. What Can You Find in the Overseas Kit? When being treated for injuries in a foreign place, you want to ensure that the medical materials being used are sterile. Having sterile medical products is vital to preventing infection or worsening conditions, which should always take priority when taking care of patients. 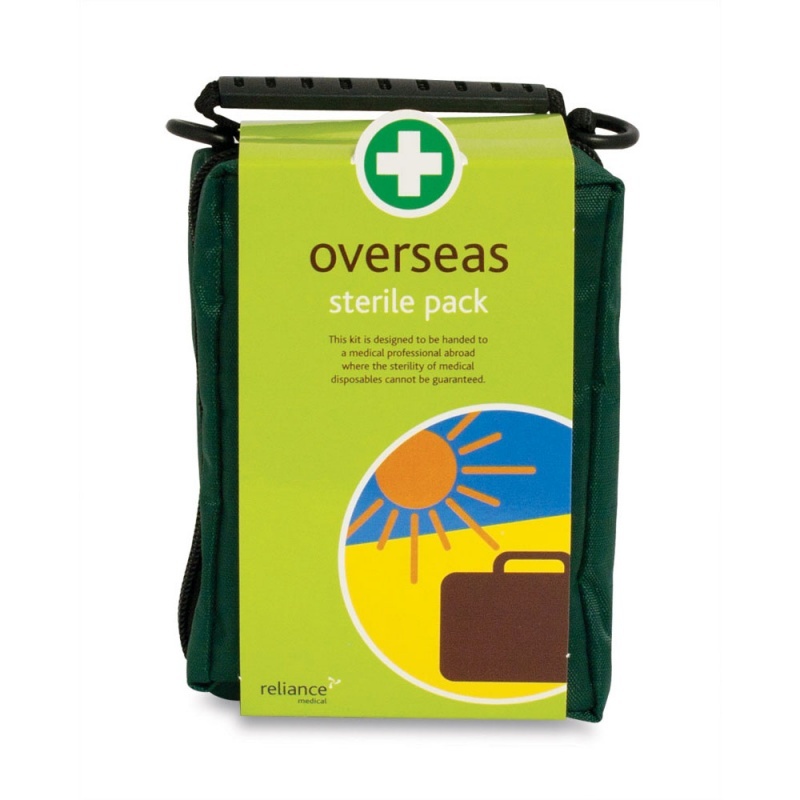 The Overseas First Aid Kit in Helsinki Bag is usually dispatched via First Class Royal Mail and delivery should be within 1 to 3 working days.